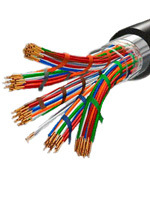 We have on our store more 30 type marine electrical cables. Cable manufacturer have approve Russian Maritime Register of Shipping. In necessary we can provide delivery on vessel any necessary for you cable. Also if necessary we can provide repair service.